The Winter Olympics are underway! This year, Africa will have teams from eight countries competing, including two nations making their Winter Olympic debut. Thirteen athletes in total will be representing their nations, each hoping to be the first athlete from Africa to win a Winter Olympics medal, outside of Youth Winter Olympics. Becoming an Olympic athlete is an impressive feat for anyone, but the challenges facing African athletes are even more intense. Many train outside of Africa due to the lack of appropriate weather conditions throughout the continent. Financial hardships also stand in the way, leading many athletes to rely on sponsorships. Eritrea will be making its Winter Olympics debut this year, thanks to Canadian-born skier Shannon-Ogbani Adeba. The 21-year-old chose to represent his native country, where his parents were born, back in 2011. Adeba will be competing in slalom and giant slalom, hoping to bring home Eritrea’s second Olympic medal. No Nigerian athlete has ever competed in the Winter Olympics. This year, the competition will see three incredible sprinters-turned-bobsledders. Seun Adigun, Ngozi Onwumere, and Akuoma Omeoga are paving the way for Nigerian athletes with their determination and endurance. 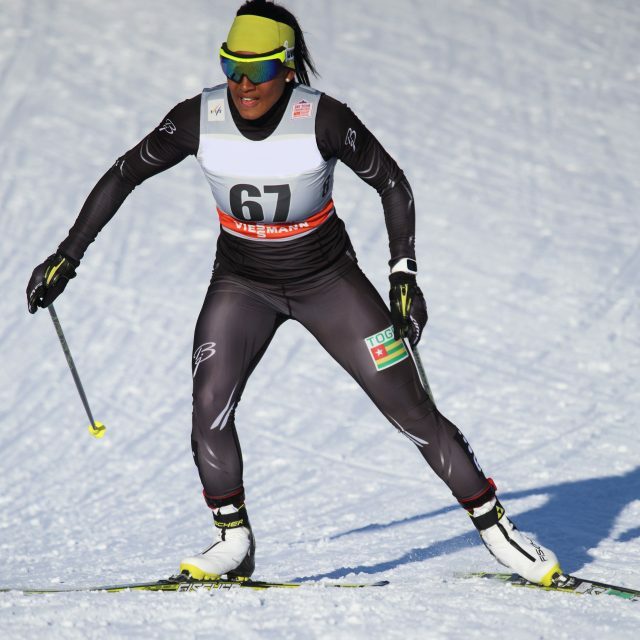 19-year-old Sabrina Wanjiku Simader is making history as the first female to represent Kenya at the Winter Olympics. The nation, which has not been represented since 2006, will eagerly watch Simader as she competes in the giant slalom and super giant slalom skiing events. In 2010, 40-year-old Samir Azzimani was the only athlete to represent Morocco at the Vancouver Winter Olympics, where he ranked 74th in men’s giant slalom. This year, he will compete as a cross-country skier, representing Morocco alongside skier Adam Lamhamedi. Lamhamedi won Morocco’s first gold medal at the Youth Winter Olympics in 2010, and will be bringing his slalom skills to the Olympic stage this year. Akwasi Frimpong has faced many obstacles on his way to the Olympics. 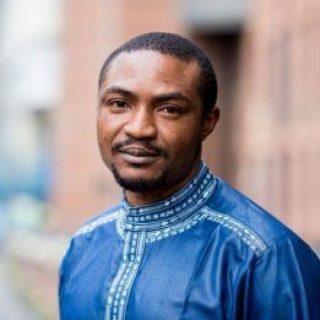 He began his athletic career in the Netherlands, but began representing his home country in 2016 when he established the Bobsleigh and Skeleton Federation of Ghana. He will be competing as Ghana’s first skeleton athlete. 16-year-old Mialitiana Clerc began skating at just three years old, and will now be the flag bearer for Madagascar. The young skier was adopted by French parents, but remained in contact with her biological parents. She will represent her birth country in women’s slalom and women’s giant slalom. At the end of 2017, 21-year-old Connor Wilson was ranked as the 54th best giant slalom skier in the world. He has a chance to rise in rank this year as he competes in men’s slalom and men’s giant slalom. He will represent the nation alone this year, but some are anticipating alpine skier Sive Speelman to debut in four years. Mathilde-Amivi Petitjean became Togo’s first cross-country skier at the 2014 Sochi Winter Olympics. This year, Petitjean aspires to become one of the top 30 cross-country skiers in the world. She will be celebrating her 24th birthday during the Olympics, and representing Togo with alpine skier Alessia Afi Dipol.